Balto is a wolfdog hybrid, which means that he is half dog, half wolf. 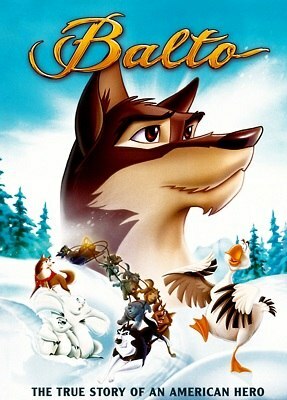 This has lead to him being ridiculed by both dogs and wolves, and his only friends are snow goose, two polar bears and a red Husky on which Balto has a crush. One of the girls of the village becomes ill, but the adverse weather conditions do not allow for a regular trip to get her medicines. Instead, all the dogs from the village enter a competition to be part of the team that will deliver the required medicine. The trip to the other village goes well, but on their way back they gets lost, and Balto will decide to go and look for them, even leading them back into the village if needed.